Parking: Riverlight 5, Tideway Industrial Estate, 87 Kirtling St, London SW8 5BP. Drive to Cringle Street, take the first right onto Kirtling Street and you will see underground parking. 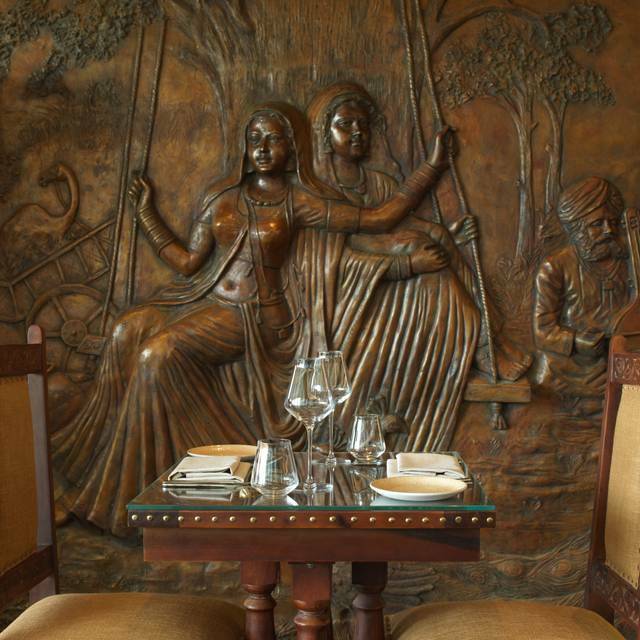 On arrival, please let Concierge know that you will be dining at Chokhi Dhani. Basement 2 - Visitors car park - Parking available next to the wall on the left. 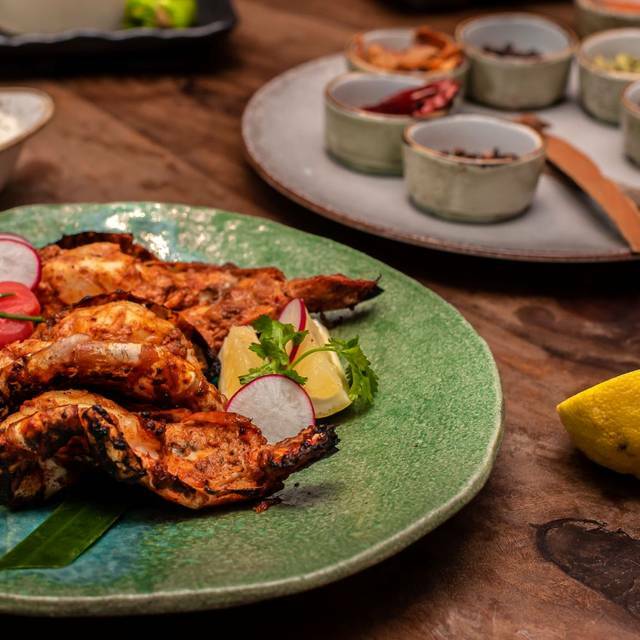 Chokhi Dhani London showcases the fine food, vibrant atmosphere and exceptional service that entrances all who visit its venues in Rajasthan – but with a contemporary twist. 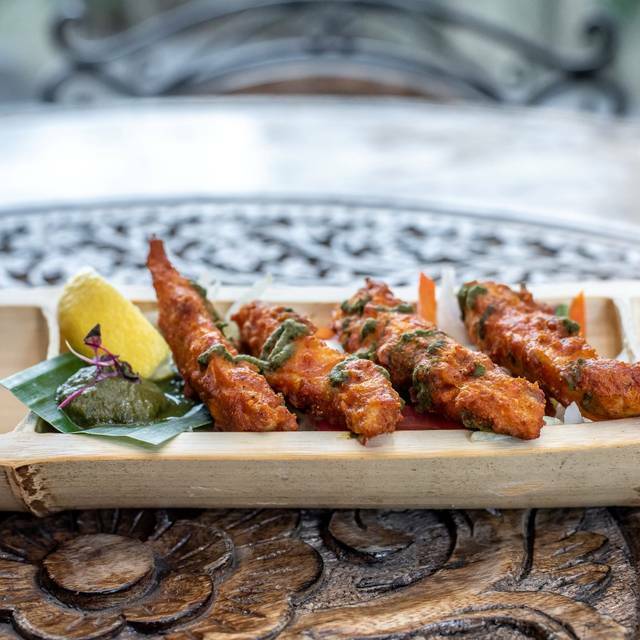 As well as highlighting dishes from this ancient princely state, with its widely revered royal cuisine, the restaurant features dishes from across the subcontinent, whose textures and flavours ensure an immersive and multi-sensory experience. On the ground floor diners can enjoy a street food concept, where the chilled mood counter balances the more regal ambience upstairs. 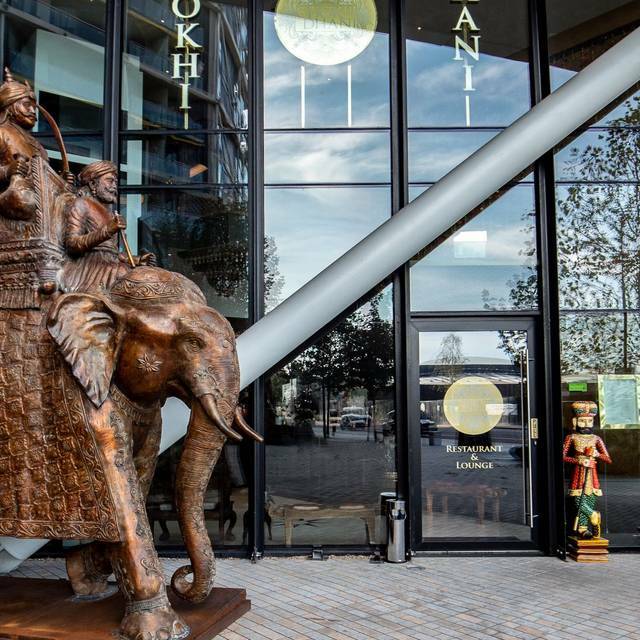 Chokhi Dhani also celebrates local culture through its collection of bespoke, handcrafted artworks, spearheaded by an awe-inspiring life-size bronze elephant. With an aspiration to serve not merely food, but culinary art that pleases the taste buds and touches the soul, Chokhi Dhani changes the way we view Indian food. Luxurious and full of character, with its intricate carvings, original artwork and chandeliers, the private dining room provides an intimate space in which to dine. The elegant polished table seats up to 14, whilst the room can also accommodate up to 30 guests for a cocktail and canapé reception. Excellent and authentic Rajasthani food. Go if you’re a fan of this cuisine. I took my family there after having a very good experience of the original Chokhi Dhani in India. The atmosphere shown in their london website is not at all close to what you experience in the restaurant. We were given a table in between many tables and had traffic constantly. There was no live music or act since we were told it was cancelled last minute (on a holiday weekend?) and the ambience had elements of good atmosphere but overall it was just like a typical Indian restaurant with not much difference. The food was 2 or 3 times costly then the normal restaurants and there were not many options in terms of dishes. Even the side-dish costed £4.50 and had maximum two spoons of veg in it. The quality of the food was OK and was not exceptional as you would have expected for the price. So in all, a disappointing evening with family over here. Beautiful restaurant set over 2 floors. Food was excellent, we had a vegetable and a meat Thali - very good size and also offered free refills. Parking is very difficult around the area, even on a Sunday, but having mentioned this to the maître d' - we were informed the restaurant does have parking nearby. Will visit again! We reached early and found the restaurant pretty empty which was welcome surprise. The service was great, food was really very nice though slightly on expensive side but worth it. There was even a live music playing which was making the restaurant more lively. Over all we had a great time. I would recommend this to my friends and definitely visit again. Food was great, ambiance was lovely, staff were v friendly. Overall, very enjoyable. We would love to visit again. Loved the food here and the restaurant itself is lovely. However do feel it was slightly more expensive then needs be but other then that we loved it! Excellent Indian Restaurant. A little different to the norm and worth the price premium. Super service, very friendly. Dont go here expecting a Chicken Tikka Masala. Explore real indian food instead. Great indian food ..top class..may be a tad bit expensive but excellent food...live indian music! 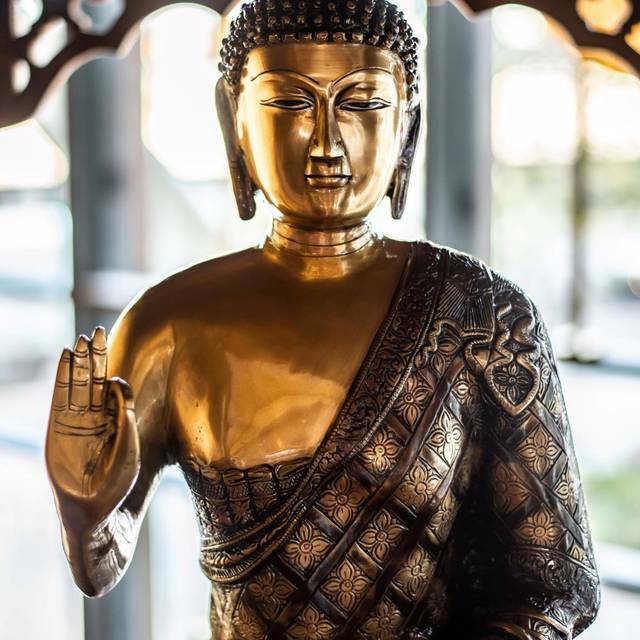 The place is quite intimate and beautifully decorated with Asian art, including some exquisite wall wood carvings. The food is exceptional, and the service is very good. The head chef took time off to greet us as it was our first visit. We will be back, with friends next time! Excellent food and good service. The magician at the end of the meal ruined the overall experience. Odd feature at an upscale restaurant. We booked for Valentine’s Day. The restaurant looks fantastic and has an intimate and romantic atmosphere. The staff were very welcoming and friendly, they seemed genuinely pleased to host us. Our waiter was very knowledgeable on the menu and recommended some great dishes. The food was full of flavour and was displayed with a lot of care and attention, the monk fish curry was delicious . Very good wine list, just a shame they do not sell cobra beer, as it’s my favourite beer with food. We will be back to try the Rajasthani feast! A family meal out - Early Friday evening. Staff were attentive and helpful with suggestions from the menu. 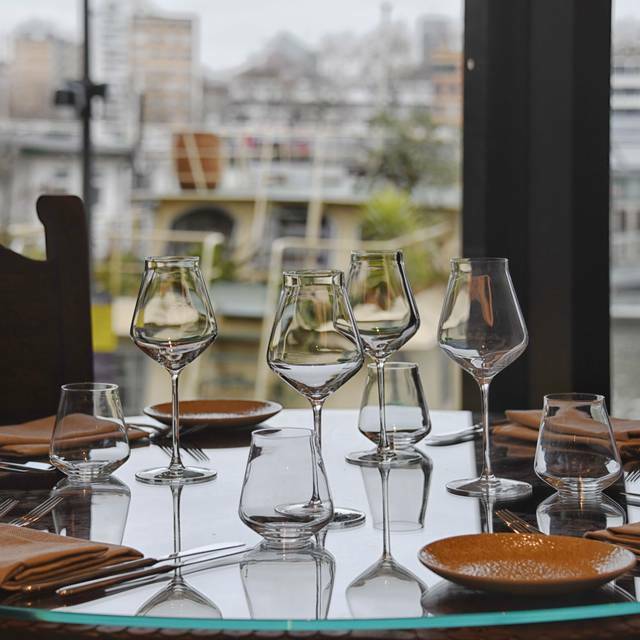 Lovely setting upstairs with table overlooking the river. Food was excellent and we all had 3 courses. The magician was a really bonus and his sleight of hand magic was amazing. We are still trying to work out how he did it!! I would definitely recommend this restaurant and will be back. Nice decor, decent service, but we essentially paid 100 pounds for a couple of samosas, a kebab, and 2 extremely average curries. The butter chicken was appalling. 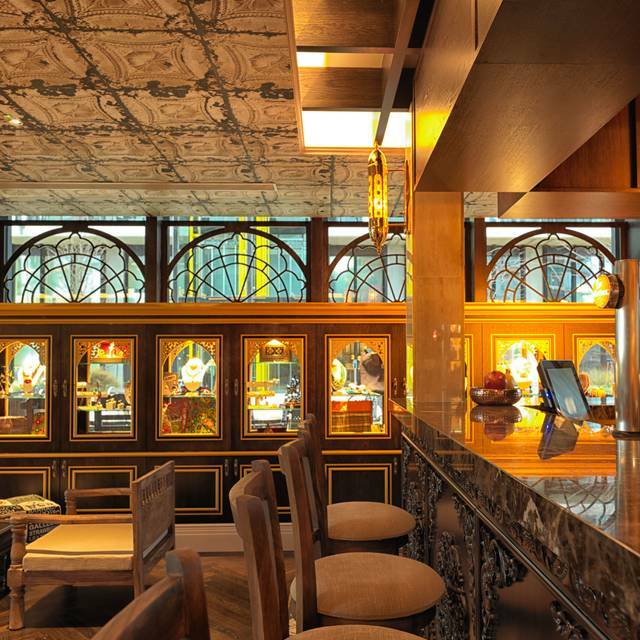 For that money, you are better of dining in Mayfair. Very good place for a celebration. Food was delicious, but found the service and the laid on magician a bit over the top - wanted to catch up with close family and friends, but too many interruptions asking how everything was and the magic guy, although awesome, taking up 30 mins or so. I would go back again, and the food was very different from the usual curry experience. You do pay for all this, and our service charge alone came to nearly £50, so be prepared for £40-£60 a head depending on choices. It’s definitely an experience, and the decor is wonderful, but at times the whole thing just felt a bit too much. Great night out especially for those living locally. 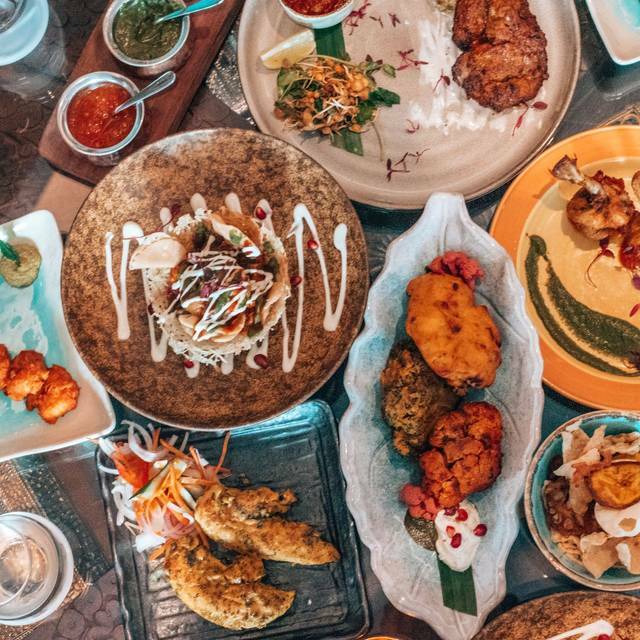 We came here for a birthday celebration and ordered several dishes to share - we were not dissapointed, each of them was flavoursome and so tasty! The restaurant itself is beautifully decorated and service is great. Thank you, Vessi and team, for looking after us! We will be back. We were not very impressed with the food . For that price you expect a better tasting food. We’ve had better food and ambience at the same price in other restaurants in and around the area. I don’t think we’ll go back to the restaurant again! Cosy setting, lovely ambience , exemplary service and top notch food! Highly recommend Choki Dhani as a must visit for special occassions - they have kept upto the standards of the original setup in India, here’s wishing them luck in expanding it further to bring in some cultural experience from back home as well! The service and ambiance was very good but food was not so great. Super good traditional Indian food in a modern ambiance. Top service! First visit and definitely not the last! The staff were welcoming, food was unique and scenary at the river front is lovely. Wonderful atmosphere and a wonderful place to dine. Simply impressed! Nice setting, great food, starters were outstanding. Food portions were small, taste was disappointing. Service could have been better. If you want a curry go elsewhere. So expensive and zero spice even by English curries! We have been to Chokhi Dhani several times and never been disappointed. 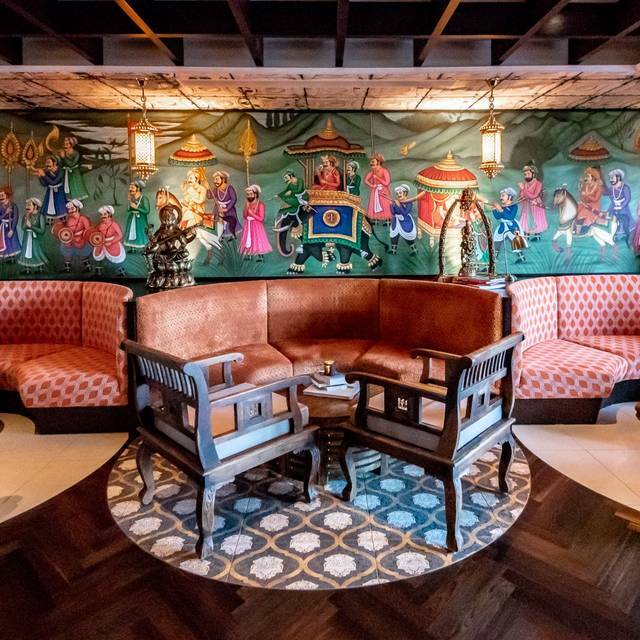 This is stylish Indian cuisine in a really lovely setting. Food good but it was fifty minutes between our reaching our table and receiving our first course. Not to be recommended for people in a hurry. Pleasant staff very apologetic. An awesome addition to the neighborhood. Great service. Fantastic find in Battersea. Will return. Amazing service by all the staff, even the chef came out to talk to all the customers eating. As always, fantastic food , had the same vegetarian thali as last time but some of the dishes were different. Still have plenty of choice left to try out. Super ambiance and great food. However as it’s place that touts itself as a leading exponent of Rajasthani food, I personally would have liked someone to explain the food more. The servers could barely pronounce the dishes and when the thalis were served, did not explain how some of the foods needed to be eaten. One of the chefs was making the rounds later, and we were then explained the order in which the foods needed to be eaten, etc.